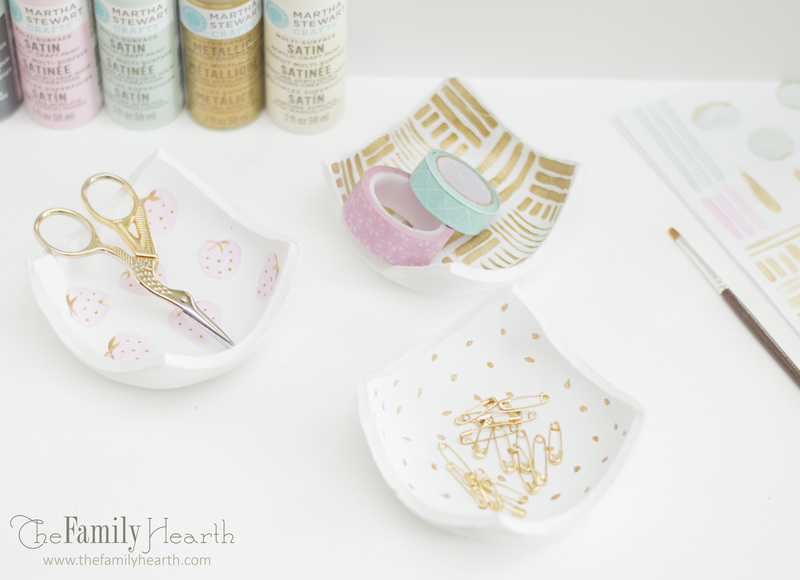 Lately, I have been seeing so many neat clay projects popping up on my Pinterest page. It was too much for me not to at least try my hand at something with clay. 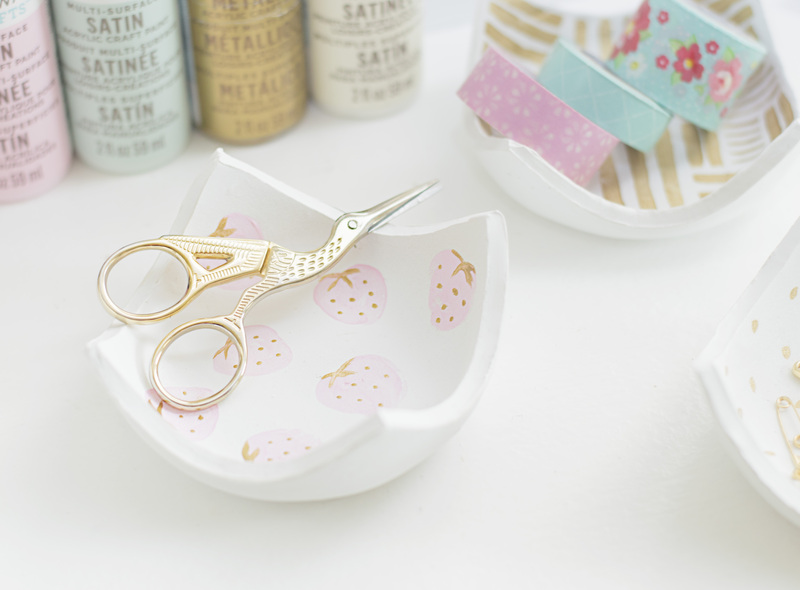 Lay your parchment paper on top of your cutting mat and flatten the clay into a circle on top of the parchment paper. Roll your clay out until it is 1/4″ thick and at least larger than 4″ on each side. 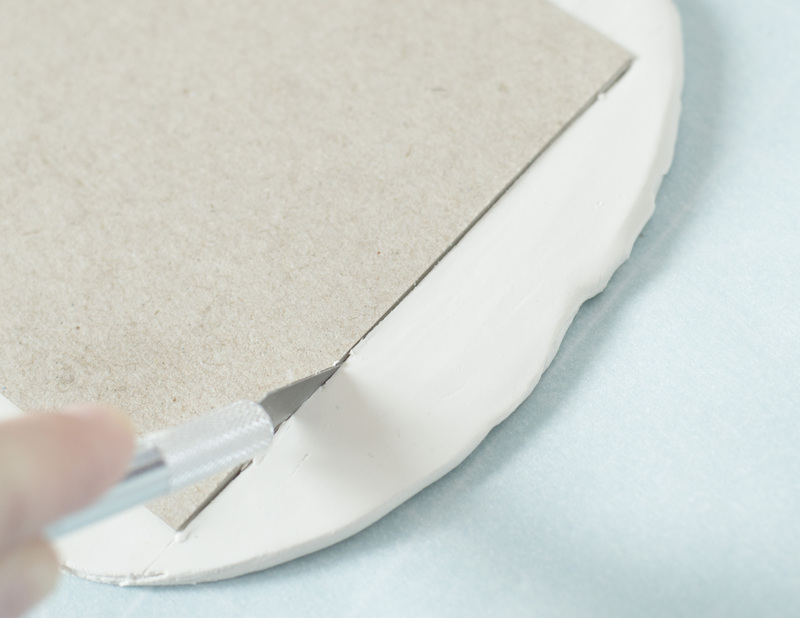 Lay your template carefully on top of your clay and cut around the edges with your X-ACTO knife, making sure to press hard enough to cut through parchment paper as well. Pull your template and the parchment paper off of the clay. It should come right off. 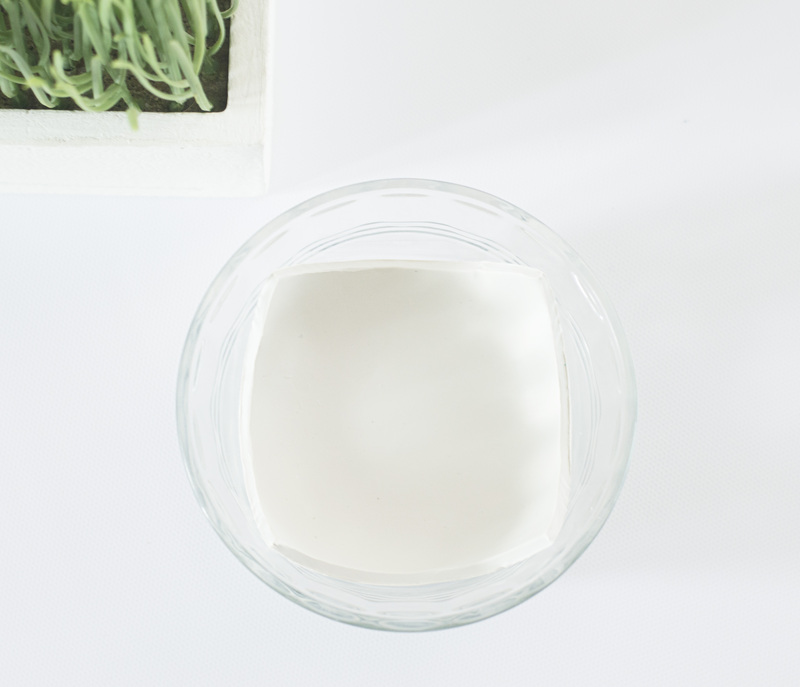 Lay the clay inside of the glass bowl and carefully press it down evenly to lay flat inside the bowl. 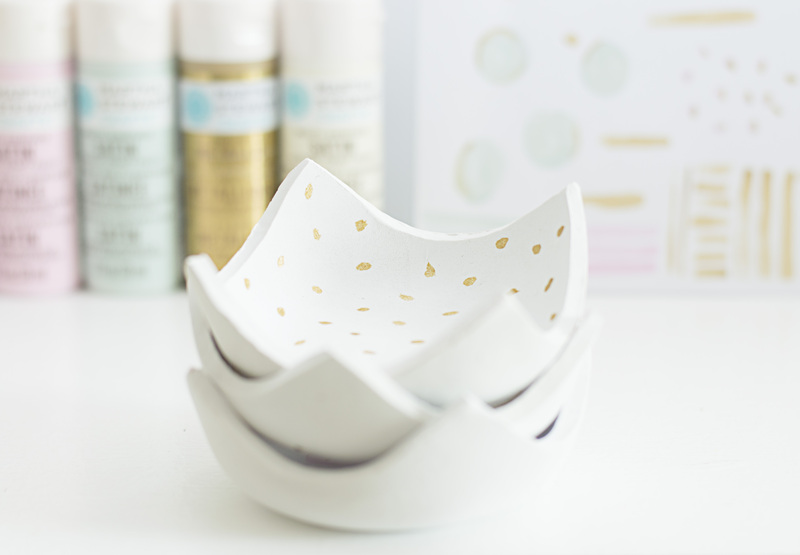 Optional: You can dip your finger in water and gently smooth out any rough areas or fingerprints, etc. 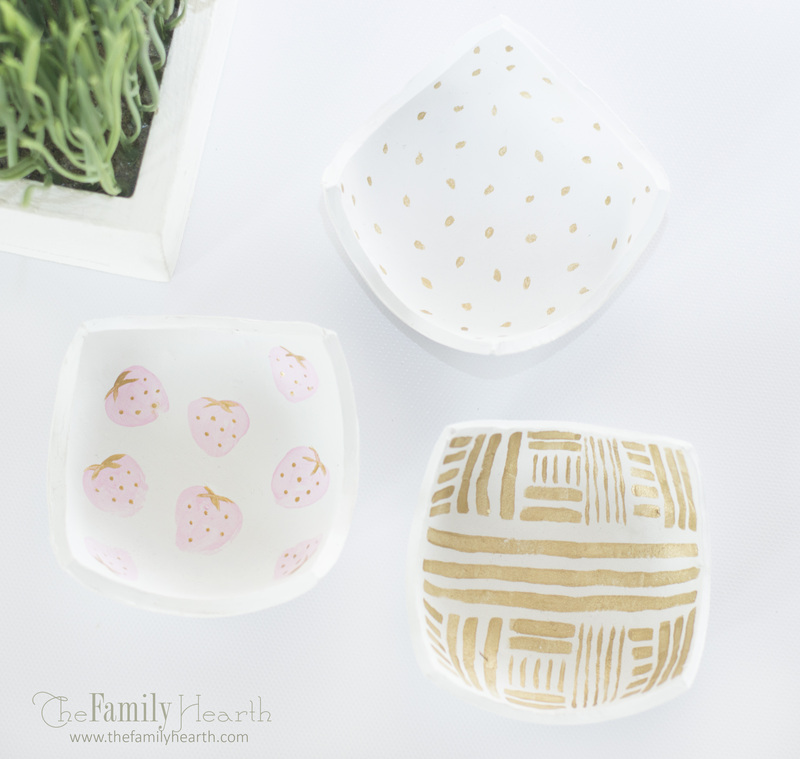 Put the glass bowl on a cookie sheet and bake according to the directions on the clay box. I baked mine at 275F for 15 minutes. 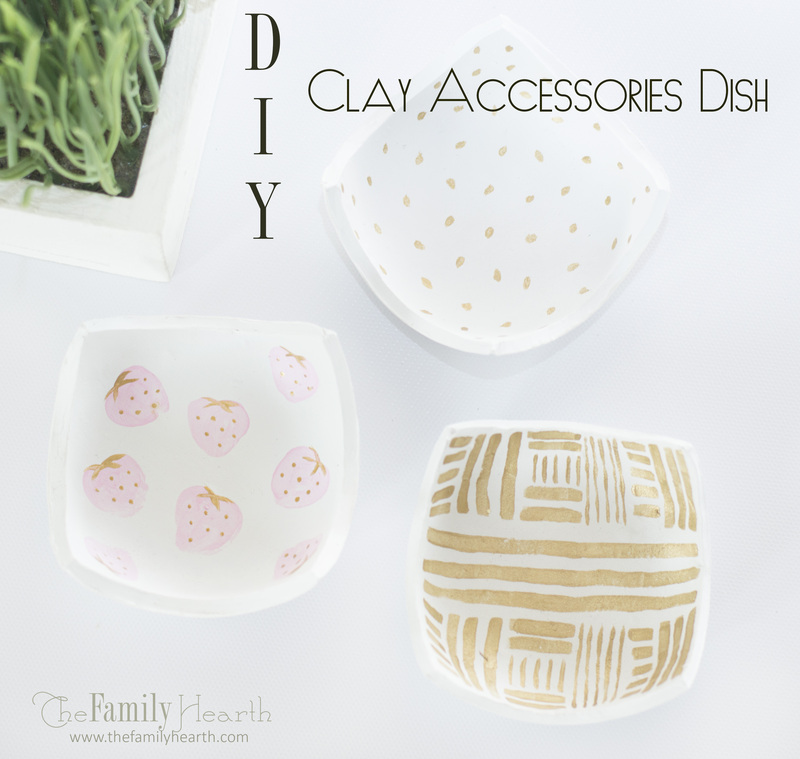 After your clay dish cools, you can sandpaper any rough areas out. This is optional, but some of the edges may need a little smoothing. Spray paint white and then after it has dried, paint or decorate however you would like! Optional: After you have decorated, you can spray a few light coats of acrylic spray for protection and help against scratches.